Lucy Flucker, born in 1756, was the daughter of Thomas Flucker, the Royal Secretary of the Province of Massachusetts and a loyalist in Boston, Massachusetts. Henry Knox was born into poverty in Boston in 1750, an ordinary man who rose to face extraordinary circumstances. He left Boston Latin Grammar School at a young age to apprentice to a bookbinder, helping to support his widowed mother and younger brother. Henry Knox eventually worked his way to opening his own bookshop in Boston at the age of 21. The young gentlemen of privilege congregated there, and Henry observed their manners and soon could be mistaken for one of them. His keen interest in military strategy led him to do a lot of reading on the subject, and when he volunteered as a member of the Boston Grenadiers in 1772, his talent was noticed. Like other signers of the Declaration of Independence, Francis Lewis was condemned by the British authorities, and a price was put on his head. While Lewis was attending the Continental Congress in the autumn of 1776, British troops destroyed the Lewis estate on Long Island and arrested Elizabeth Lewis, taking her to prison New York City. She never recovered from the inhuman treatment she received at the hands of the British. Not much is known of Elizabeth Annesley’s early life or her ancestors, but there is evidence of her high character and undaunted spirit. Francis Lewis was the son of a Welsh clergyman of the Church of England. He lost both of his parents at the age of 4 and was raised by a maiden aunt. He was educated in Scotland and England. Sarah Van Brugh Livingston was born in 1756 to Susannah French Livingston and William Livingston, patriot and first governor of the State of New Jersey. She was educated at home in penmanship, English grammar, the Bible, and classic literature. Sarah grew into a graceful and capable young woman. At a time when women were usually relegated to the kitchen, she was brought up to be politically aware, even serving at times as her father’s secretary. William Livingston moved his family to a new home, Liberty Hall, in Elizabeth Town, New Jersey, in 1772. Sarah’s beauty, gaiety, and intelligence attracted many suitors. Wife of Patriot Robert R. Livingston Jr.
Clermont was the Hudson River home of the prominent Livingston family of New York for more than 230 years. Because of the family’s prominent role in support of independence, Clermont was burned by British troops during a foray up the Hudson River in 1777. 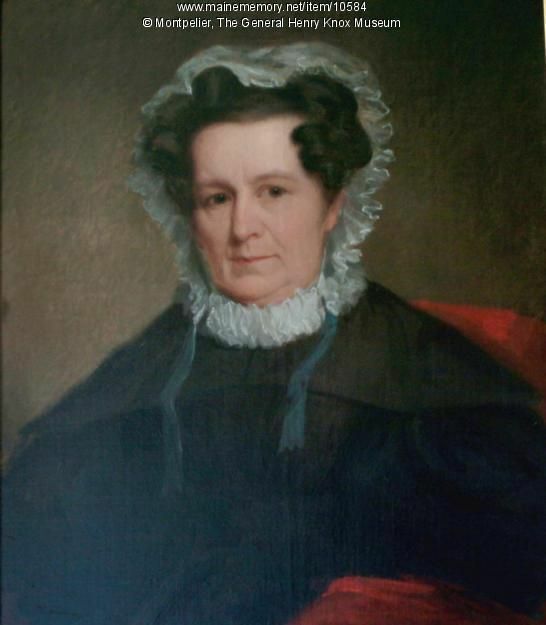 Mary Stevens was the daughter of John Stevens and Elizabeth Alexander Stevens, and the granddaughter of New York lawyer and statesman, James Alexander. Mary’s father was a large landowner in the New Jersey counties of Hunterdon, Union, and Somerset, and he owned a copper mine at Rocky Hill. He was a prominent politician from New Jersey, who served as a delegate to the Continental Congress in 1783. Mary’s brother, John Stevens III, was a lawyer and inventor. 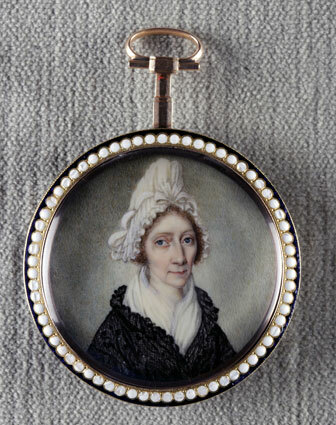 Abigail Wolcott was born February 8, 1755, in East Windsor, Connecticut, the fifth of seven children born to William and Abigail Abbott Wolcott. Oliver Ellsworth, the second son of Captain David and Jemima Leavitt Ellsworth, was born in Windsor April 29, 1745. At 17 Oliver went to Yale to study the ministry, but was expelled for playing pranks. 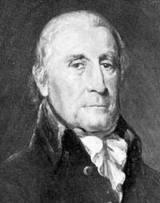 Ellsworth graduated from the College of New Jersey in 1766 and began the study of law. 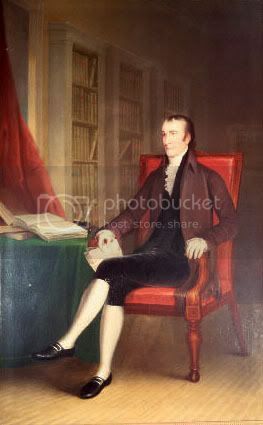 Returning to his home in Windsor, Connecticut, Oliver studied theology and then law, and was admitted to the bar in 1771. At first his law practice was so poor that he had to support himself by farming and occasionally wood cutting, and on days when the court was sitting he had to walk from his farm in Hartford and back – a round trip of twenty miles – since he was too poor to keep a horse. William Livingston was born in 1723 at Albany, NY, son of Philip and Catharine (Van Brugh) Livingston. His mother was the daughter of the Dutch mayor of Albany Pieter Van Brugh. His paternal grandfather, Robert Livingston, had emigrated to American in 1673, and received grants to Livingston Manor – a large tract of land on the Hudson River. William spent his childhood there under the indulgent care of his maternal grandmother Sarah Van Brugh. At the age of fourteen, William lived for a year with a missionary among the Mohawk Indians in the wilds of New York’s Mohawk Valley, an experience which his family felt would be valuable if he later turned his attention to the fur trade or land speculation on the frontier. Mary Digges was born in Maryland in 1745, on her family’s estate, Mellwood Park, the daughter of Ignatius and Elizabeth Parnham Craycroft Digges, prominent landowners in Prince George’s County, Maryland. The family home received such distinguished guests as George Washington. The future President would visit Mary’s father, Ignatius Digges, for a brief rest from his travels around the colonies. The Digges were Roman Catholic, and Ignatius consented to the marriage only after Thomas, an Anglican, wrote a series of heartfelt letters during the summer of 1771 giving his assurance that he would convert and that all their children would be raised Catholic. 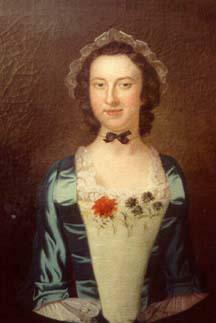 Margaret Brown, born in 1751, was the youngest of Dr. Gustavus Brown’s fourteen children. Her mother, Margaret Boyd Brown, was Dr. Brown’s second wife. His Scottish lordship, Edinburgh education, and property holdings in Scotland and Maryland placed Dr. Brown in a social position unparalleled in the colony. Dr. Brown was also thought to be the richest man in Charles County. He provided for the wealth and education of all his children, not just his sons. Upon marriage or attaining the age of twenty-four, Margaret was to receive 300 pounds sterling. Thomas Stone was born into an old and influential colonial family at Pointon Manor near Port Tobacco in Charles County, Maryland, in 1743. He was the second son in the large family of David and Elizabeth Jenifer Stone. Thomas inherited a fondness for learning from his father and, at the age of fifteen, he studied Greek and Latin in a school operated by a Mr. Blaizedel. This school was more than ten miles from his home, and young Thomas rose early every morning and rode there on horseback.